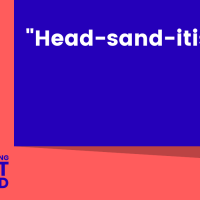 Marketing Out Loud: Episode 171 - "Head-sand-itis"
There’s this terrible disease that I’ve noticed seems to be rampant among entrepreneurs. Until recently, I didn’t know what to call it. I just knew how destructive it was. Well, apparently it has a name. And let me tell you, this thing is deadly.